The sensation of honey exfoliating and replenishing your skin. A much-needed massage using coconut, ginger, and other oils to alleviate any lingering stress. All topped off with a taste of warm ginger tea. 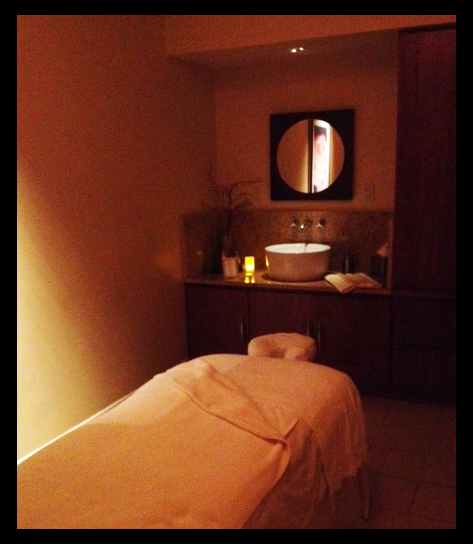 Welcome to the Four Seasons Hotel Atlanta’s Milk and Honey Body Treatment. This month, The Spa at this Midtown relaxation spot is offering the unique treatment, which I was invited to come and try out. (Disclaimer, the spa did comp me the service, however, I’ve long been a fan of this spot and have spent plenty of my own dollars here.) And FYI, valet parking is free with validation from The Spa. Although I didn’t have much time on this particular evening, one of my favorite parts of visiting this spa is enjoying the amenities including the indoor pool and hot tub, sauna, steam room, and a cozy relaxation room stocked with hot tea and snacks (think yogurt-covered pretzels and nuts). Eunice did an excellent job of talking me through the steps of the treatment, which uses honey from the hotel’s own beehives. I was rubbed, wrapped, and exfoliated for the next 80 minutes — much of which was a relaxing blur. I even received a moisturizing face mask (and got to take home the leftovers to use later, which made me happy). I left the treatment room feeling deliciously relaxed. The treatment that I received usually costs $235. If that’s a bit pricey for you, never fear. The Spa offers a “happy hour” deal Monday through Thursday from 5 to 8 p.m. You can choose two 25-minute treatments from this menu — and get a glass of prosecco — for $99. For more about the spa, click here. So if you’re looking for a way to relax, I recommend giving this “fit” a try. You might even run into me enjoying a happy hour that doesn’t come with calories! Until next Tuesday — stay FWABulous!